This is a foreign exchange guide to El Salvador, the United States Dollar currency plus USD transfers and travel tips. Those visitors who do make the effort are invariably impressed by the warm welcome they receive and by just how much this tiny country has to offer: world-class surfing on empty, dark-sand beaches; coffee plantations clinging to the sides of volcanoes; pretty flower-filled villages with buildings splashed by murals; and sublime national parks. There are few crowds outside the capital, San Salvador, which itself has more swagger than its Central American counterparts. 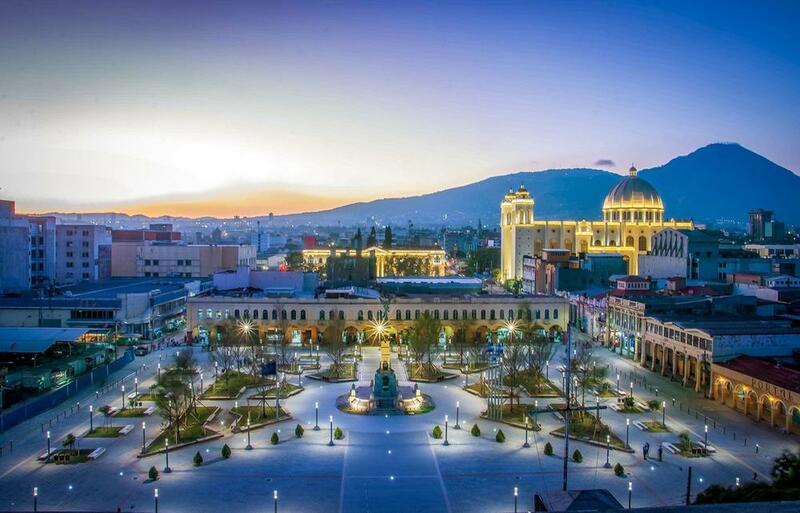 San Salvador is a great getaway to explore nearby attractions. The city itself is very busy with constant traffic and people rushing somewhere, so you feel like you want to escape the noise. Take the opportunity however and discover San Salvador downtown with many historical buildings, including the National Palace, National Theatre, the Cathedral and the Plaza Libertad. San Salvador, the captial of El Salvador. Cureency tips for El Salvador. The unit of currency in El Salvador is the U.S. dollar. The country made the switch from its native colón in 2001, and colónes have been phased out since 2004. Small-town tiendas rarely have change for a $20, so get small bills whenever you can. ATMs, known as cajeros automáticos, can be found in all major cities but are hard to come by in rural towns. Even when a smaller town has an ATM, it may not accept your card -- stock up on cash when you can. Bank machines accept most major card networks, such as Cirrus, PLUS, Visa, and MasterCard. Credit cards are accepted mainly only in the larger hotels, restaurants, and shops. Sometimes, you get lucky in the most unexpected places, but generally, small shops or restaurants in villages are solo efectivo, or cash only. Those that accept credit cards usually take American Express, Diners Club, Visa, and MasterCard. El Salvador is known for its volcanoes. How to get around in El Salvador? Flying within El Salvador is neither cost effective nor easily accessible. Some well-heeled execs fly private planes between San Miguel and San Salvador, and Puerta Barillas in Bahía de Jiquilisco has a helicopter pad, but most folk here stay grounded. There are no trains in El Salvador. Hypercolored American school buses run frequently to points throughout the country and are very cheap (US$0.25 to US$5). Some weekend fares increase by up to 25%. Routes to some eastern destinations have different categories: ordinario, especial and super especial. The last two options cost more, but they are faster and more comfortable. Most intercity bus services begin between 4am and 5am and end between 6pm and 7pm. Most roads in El Salvador are paved, but traffic is not easy to negotiate and roads are not particularly well signed. Police set up checkpoints, especially on roads to border crossings. Carjacking is a problem, as is getting parts stolen off your parked car. Don’t drive alone in areas of ill repute and always park in safe places. Car insurance is a good idea, but not required. Rental cars are available in San Salvador and San Miguel and can be delivered elsewhere. Cycling is popular in El Salvador, both as a recreational activity and means of transport. In San Salvador, a good point of contact is cycling enthusiasts Ciclistas Urbanos. They can provide information about the Cicleada Urbana Nocturna, a weekly Thursday-night group-cycling event in the capital. Mountain-biking is possible near Perquín in Morazán – ask at Perkin Lenca or Serafin Tours. Travel tips for El Salvador. 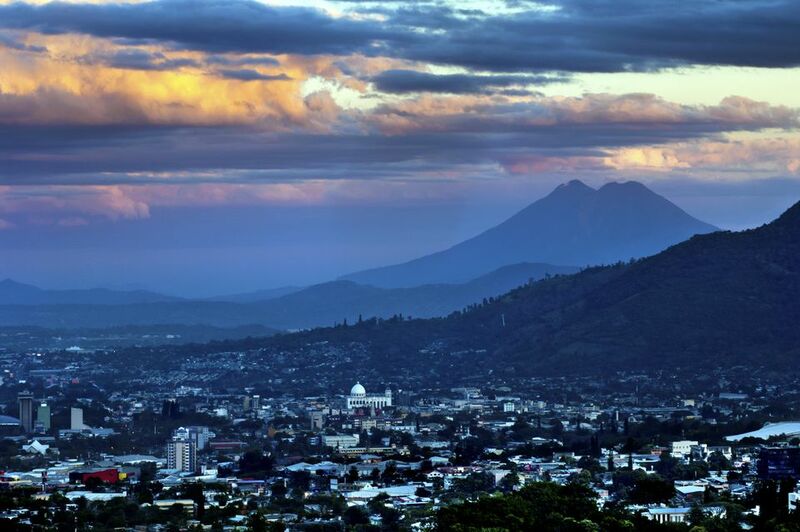 Santa Ana is El Salvador’s biggest and most active volcano. The volcano climb offers beautiful panoramic views of the neighbouring towns. The highlight of the entire hike is undoubtedly the magnificent turquoise lake sitting in the centre of the crater. Hire a tour guide from the bottom who will take you on a guided 4 hour round trip tour to the crater. Tours usually start at 10-11 am every morning. This crystal blue crater lake was created over 70 thousand years ago. Most of the shoreline, owned by Salvadorian elite, makes the place peaceful and perfect to relax at. The dramatic beauty of the 6 km wide caldera is undoubtedly worth a visit. You can access the lake by renting a boat or from surrounding it hotels such as the Cardedeu Hotel. When searching around for information on how to get a good exchange rate when sending money to El Salvador you need to start with finding out the latest United States Dollar foreign-transfer exchange rate. Once your funds are received by the provider the converted USD amount will be transfered to the recipient account you specify in El Salvador.